I will be the first to say that shearing is great. We shearers love our job. We travel all over the beautiful countryside meeting hundreds of animals and their caretakers, having useful conversations about animal care and fiber, sometimes staying at homesteads and eating home cooked meals, and generally living the life of a peripatetic farmer. We also know that every animal we shave down is a comfortable and healthy animal – so we feel useful. It’s grand. I’ve had some farmers say to me, however, that they dread shearing day. While that saddens me, I will admit that it’s a LOT of work for a fiber farm owner. Animals have to be rounded up, kept clean and dry, bags have to be prepared and labelled, skirting tables dusted off, and helpers recruited. My team and I do our very best to keep a calm and controlled environment so that the animals are not stressed. This is so important. If the animals are stressed, the owners get upset and if owners are stressed, the animals feel it and react. In my experience, it’s best for the animals to have to deal with as little change in their routine and environment as possible, so that the 3-5 minutes that they are being sheared is only a blip on the screen. Loud, unaccustomed noises, such as blasting music. Dogs barking – the general proximity of dogs (other than the livestock guardian dogs who work at the farm) is a huge stressor for animals. The high-pitched voices of children and the sudden and quick movements of children. Use of loud farm equipment. Dogs barking or running around the shearing area. The attempts of owners or visitors to make small talk while we are working. Owners reaching in to pet or touch their animal while clippers are flying. Inebriated persons near the shearing area. If you’ve read this far, you will think that I’m a Debbie Downer. Not so! I enjoy shearing so very much, canoodling with the animals, joking with the owners, and talking “shop”. However, I’m keenly aware of the dangers involved in shearing and it’s my first goal to keep the shearing area a safe place for shearer, helpers, and animals. Are the people you are inviting interested in animals and their care, or will watching the shearing be tiresome for them? Are you inviting people to actually take part in the shearing (e.g. helping halter animals, collect and label fiber) – direct engagement has a good success rate for visitors. Do you have an area that you can cordon off so that the shearer, helpers, and animals can be kept quite apart from visitors? Will your party be specifically to educate people about shearing and fiber, or is the shearing an incidental element to the day? Do you expect your shearer to give a presentation and/or answer questions of your visitors? Are they nursing moms who have lost all their body fat? Do they scream and spit and kick up a fuss, thus upsetting those watching? Are they large and hard to handle and require extra hands to keep them calm? Do they have lice, fungus, or other skin conditions that the general public is not going to understand? Can you be 100% available for your animals while your event is going on? I have conducted demonstrations where I was asked to talk about the animals, the equipment, and the overall process of shearing to an audience. Generally, when people show up to such an event it’s because they want to learn something and it is a useful experience for all. Inviting people to watch and participate in shearing day can be an excellent educational experience, provided it is well thought out. It can, however, also create a negative impression for visitors, and can cause quite a bit of stress on your shearing crew and your animals. 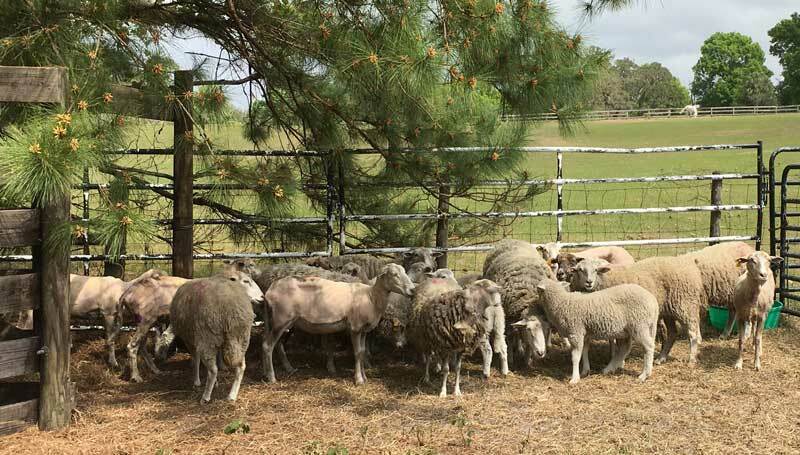 Please consult with your shearer and talk about your options BEFORE shearing day if you are considering making your farm’s shearing an event in addition to the performing of the necessary annual animal husbandry task you owe your flock.